JeM is based in Pakistan, one of several anti-Indian militant groups fighting in Kashmir which are officially banned in the country. ISLAMABAD: For eight days in 1999 the world watched in horror as hijackers diverted an Indian Airlines flight to Afghanistan and held the passengers hostage, the drama ending only when Delhi agreed to release three Kashmiri militants. Nearly 20 years later, India is still paying the price for that decision. 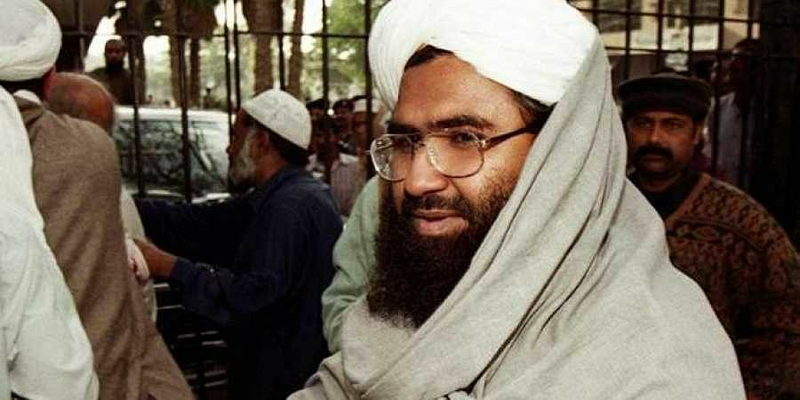 One of the militants freed was Masood Azhar, who later went on to found Jaish-e-Mohammad (JeM), the militant group which claimed responsibility this month for the deadliest attack in three decades in Indian-held Kashmir. More than 40 Indian paramilitaries were killed in the suicide blast on February 14, kindling a fresh diplomatic crisis between nuclear-armed arch-rivals India and Pakistan. JeM is based in Pakistan, one of several anti-Indian militant groups fighting in Kashmir which are officially banned in the country, but which are alleged to be used by Islamabad as proxies in India. Azhar, also, is believed to be in Pakistan -- but his exact whereabouts remain shrouded in mystery. He was born the son of an elementary school teacher in Punjab province in 1968, according to Amir Rana, a security analyst who has carried out extensive research on Pakistani militant groups. The US Treasury Department website still gives Azhar's home address as a location in the province's Bahawalpur district. Azhar entered Indian-held Kashmir on a Portuguese passport, security officials there told AFP and established contact with numerous militant groups. At the peak of the insurgency in the early 1990s, one retired official told AFP, he had not yet picked up arms. A common figure in the streets of Srinagar, he was known for his fiery speeches, and for mediating between the many groups flocking to the insurgency. "His greatest value for the militant groups was as a motivator and recruiter, but more significantly he displayed a good capacity to reconcile their differences," the official told AFP. Azhar was detained by Indian authorities on terrorism charges in 1994. He reportedly bragged to his jailers that they would not be able to keep him in custody. At one point, another security official told AFP, he and other militants dug an escape tunnel. When the moment came, Azhar insisted on going first. "But he got stuck in the narrow tunnel because of his bulky physique and the whole attempt was thwarted," the official said. He remained in prison until the Indian Airlines flight from Kathmandu to New Delhi was hijacked on Christmas Eve in 1999 and eventually landed in the southern Afghan city of Kandahar, at the time under Taliban rule. One of the hijackers, Ibrahim Athar, was reported to be Azhar's younger brother. Azhar reportedly met with Al Qaeda chief Osama bin Laden and Taliban founder Mullah Mohammed Omar in Afghanistan after he was freed, said Rana. He formed JeM in 2000, Rana said. Just a year later, JeM was blamed for a brazen attack on the Indian parliament in which militants killed 10 people, and which brought India and Pakistan to the brink of war. Azhar was detained and placed under house arrest. But a court in the Punjab provincial capital of Lahore ordered his release in 2002, citing "lack of evidence". As homegrown Pakistani militant groups turned their guns on the state after 9/11, Rana said Azhar was one of the few who kept a low profile. The group struck again in 2016, with Delhi blaming them for an infamous attack on a military base in Indian-held Kashmir that left seven soldiers dead and once more sent tensions spiralling. Azhar was again taken in to "protective custody", but never formally charged. His whereabouts remained a mystery for months, with speculation he was being kept under house arrest in Bahawalpur. Last July he addressed supporters in Muzaffarabad, the capital of Pakistani-held Kashmir, by telephone from an undisclosed location, claiming he had hundreds of militants ready to fight to the death. The speech prompted Indian authorities to tighten security at airports in anticipation of another hijacking. Azhar, meanwhile, has not been directly heard from since. Azhar's JeM is banned by the United Nations, India, and Pakistan, and listed by the US State Department as a terrorist organisation. But the man himself has never been declared a terrorist. The move has been blocked each time by Pakistan's ally China, however -- despite its own fears of domestic Islamist militancy. Diplomats told AFP this week that, in response to the rising tensions, France, Britain and the United States were considering a new push at the Security Council to place Azhar on the UN terror list -- but once more face opposition by China.